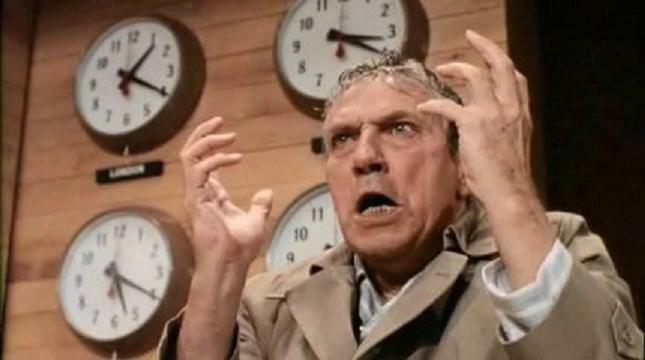 I was by myself, wearing nylon warm-up pants and a black Pink Floyd tee shirt, trying to spin a soccer ball on my finger and watching the CBS soap opera “As The World Turns” on the room’s little black-and-white Zenith. . . . There was certainly always reading and studying for finals I could do, but I was being a wastoid. . . . Anyhow, I was sitting there trying to spin the ball on my finger and watching the soap opera . . . and at the end of every commercial break, the show’s trademark shot of planet earth as seen from space, turning, would appear, and the CBS daytime network announcer’s voice would say, “You’re watching ‘As the World Turns,’ ” which he seemed, on this particular day, to say more and more pointedly each time—“You’re watching ‘As the World Turns’ ” until the tone began to seem almost incredulous—“You’re watching ‘As the World Turns’ ”—until I was suddenly struck by the bare reality of the statement. . . . It was as if the CBS announcer were speaking directly to me, shaking my shoulder or leg as though trying to arouse someone from sleep—“You’re watching ‘As the World Turns.’ ” . . . I didn’t stand for anything. If I wanted to matter—even just to myself—I would have to be less free, by deciding to choose in some kind of definite way. This entry was posted in Anatomy of Criticism, Quote of the Day, Satire on October 26, 2011 by Michael Happy. 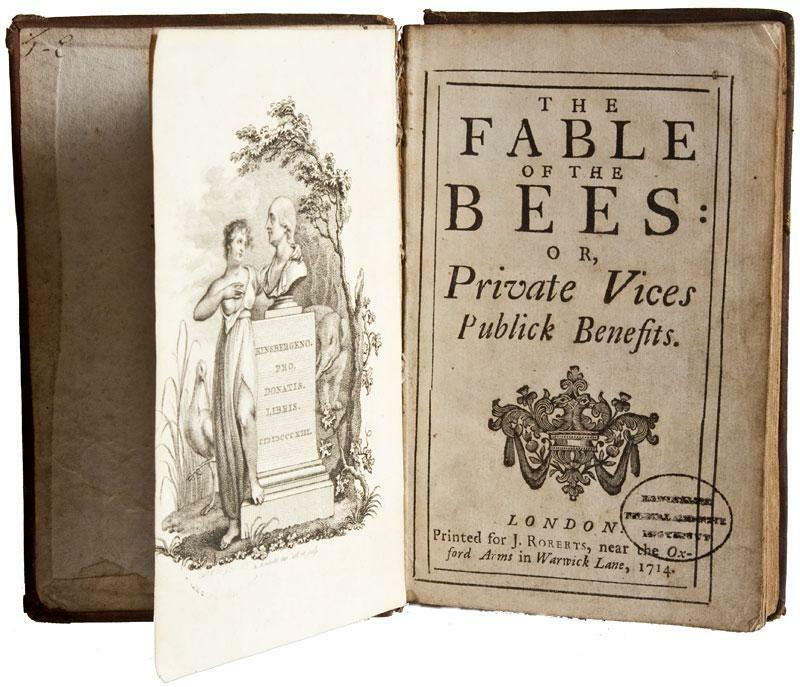 Further to our previous post, here’s “The Moral” of Mandeville’s The Fable of the Bees. The complete text of the poem can be found here. This entry was posted in Satire, Society on June 17, 2011 by Michael Happy. I usually post comedy on Friday assuming that it’s a source of end-of-the-week relief whose relevance is implicit, but today’s post invites more consideration. Here’s a groundbreaking SNL commercial parody from 2002 featuring Tina Fey, Amy Poeher, Ana Gasteyer, Maya Rudolph and Rachel Dratch. These five women did a lot to change the place of women in comedy over the past decade, and this parody encapsulates how they did it: by demystifying feminine taboos and making them funny on their own terms. You can watch the video over at Funny or Die here. In refusing to recognize the Son as their own creative principle, then, the devils are closing the gate of their own origin. This theme of closing the gate of origin recurs all through the epic, and is the basis of the feeling which later appears in humanity as what Milton calls shame. Shame to Milton is something deeper and more sinister in human emotion than simply the instinctive desire to cover the genital organs. It is rather a state of mind which is the fall itself: it might be described as the emotional response to the state of pride. This entry was posted in Apocalypse, Bible, Satire, TGIF on May 20, 2011 by Michael Happy. Today is Edward Lear‘s birthday (1812-1888). This entry was posted in Birthdays, Satire on May 12, 2011 by Michael Happy. According to UC Berkley professor Mel Gordon, sardonic Jewish humor emerged from a pogrom in the Ukraine lasting from 1648 to 1651. Jewish elders determined that the massacre was God’s punishment, and so outlawed traditionally raucous shtetl entertainers to encourage communal piety. There was however one exception, the badkhn, who was regarded as a cruel truth-teller rather than a frivolous mirth-maker. The badkhn was a staple in East European Jewish life for three centuries, mocking brides and grooms at their weddings. He also was in charge of Purim spiels in shtetl society. His humor was biting, even vicious. He would tell a bride she was ugly, make jokes about the groom’s dead mother and round things off by belittling the guests for giving such worthless gifts. Much of the badkhn’s humor was grotesque, even scatological. It’s that same self-deprecating tone that characterizes the Yiddish-inflected Jewish jokes of the 20th century, Gordon points out. Who is the surly Jewish deli waiter of Henny Youngman fame if not a badkhn, making wisecracks at the customer’s expense? . . .
And that’s how the badkhn became the only Jewish comic permitted in the shtetls, Gordon says, and how his particular brand of sarcastic, bleak humor set the tone for what we know today as Jewish comedy. Before the 1660s, the badkhn was the least popular Jewish entertainer – now he was the sole survivor. The badkhn’s role was secure from the 1660s to the 1890s and the beginning of the great Jewish migration to America and to the larger cities of Russia and Ukraine. This entry was posted in Anatomy of Criticism, Archetype, Satire on March 4, 2011 by Michael Happy. On this date in 1898 Lewis Carroll died (born 1832). This entry was posted in Birthdays, Satire on January 14, 2011 by Michael Happy. This entry was posted in Birthdays, Satire on November 30, 2010 by Michael Happy. This entry was posted in Satire, Society on November 29, 2010 by Michael Happy. See the relevant portion of the interview here. This entry was posted in Satire, Video of the Day on August 10, 2010 by Michael Happy.